Premier Prints Finley Awendela. Contemporary wavy line print home decorating fabric. Colors include indigo blue, dusty baby blue, gray, taupe and white. 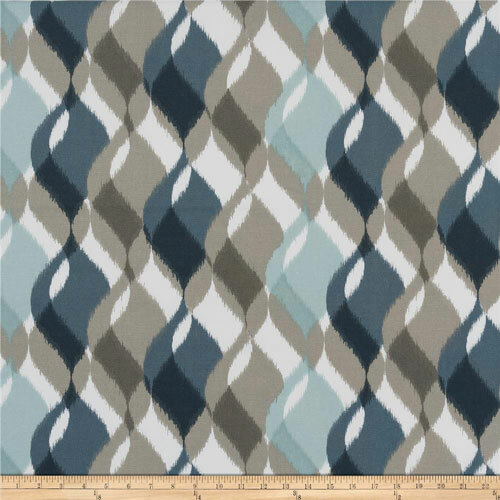 Suitable for light upholstery, drapery, headboards, decorative pillow covers, crafting or other home decorating projects.